How many of ya'll read that post title in the tune of the classic spirit from cheerleader days? haha Hopefully all of you! 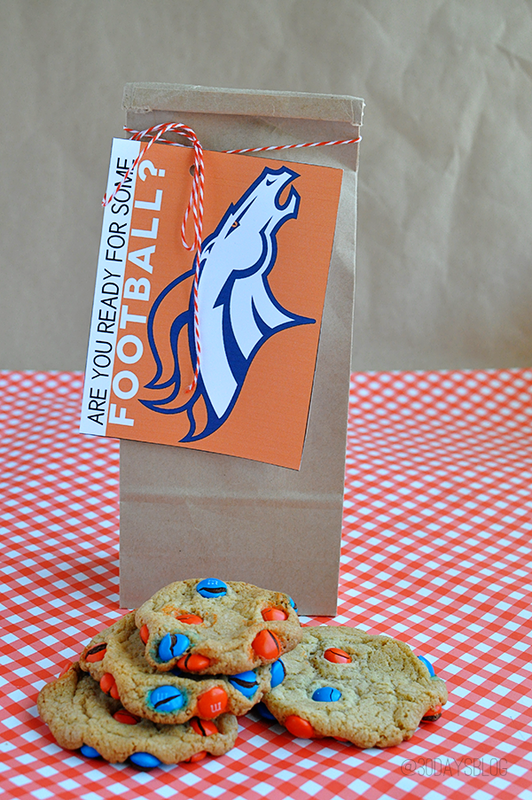 I'm sharing a quick and easy way to add some spirit to your game day and also satisfy that sweet tooth at any tailgate. 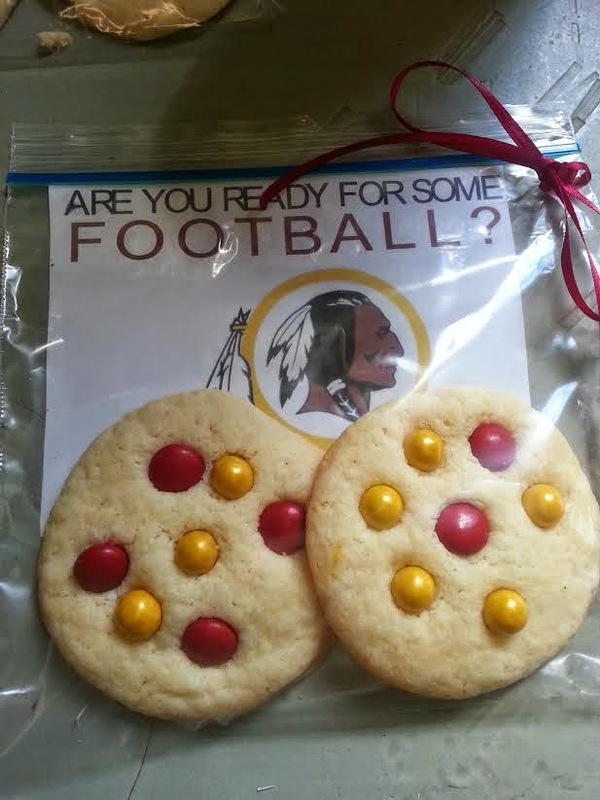 NFL team themed cookies are so easy and so fun to bring along to any gathering. I just did plain sugar cookies with coordinating colored M&Ms and chocolate sixlets. Rather than folding them into the batter, I simply placed the M&Ms on top once I took the cookies out of the oven. Pick up some team color ribbon and follow the link below to the team printables and you're good to go! 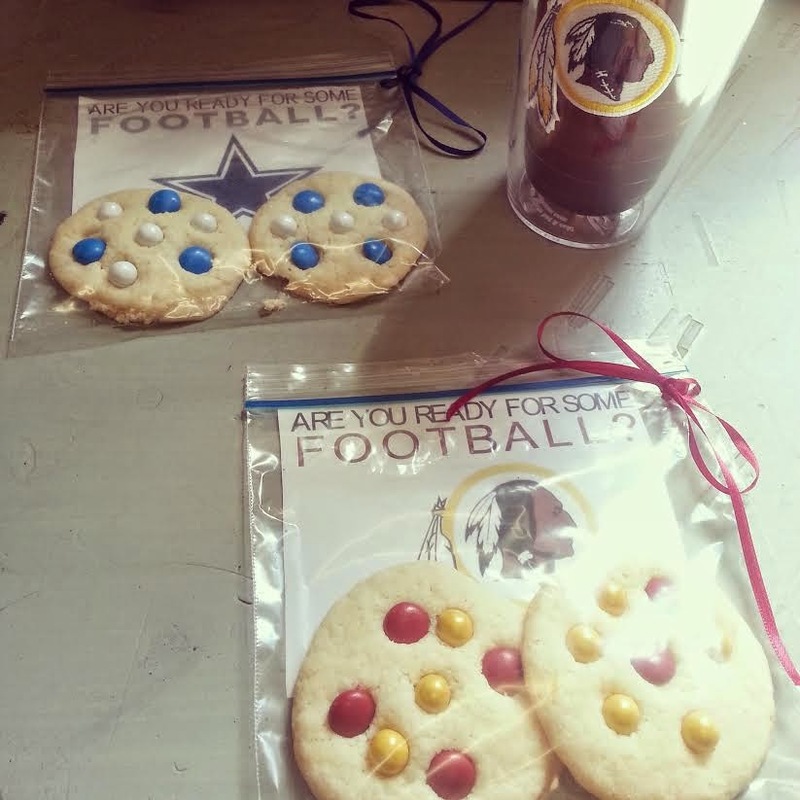 I used Dallas and Redskins since we are a house divided- can you believe my husband is a stinkin' Dallas fan and we STILL got married?? I know...I know...it was tough introducing him to the fam.... just kidding love! Let's just hope we can pull off another win when we play the Eagles this Sunday. Enjoy your Wednesday! Aw how cute! These are sure to be a hit! I saw these on your instagram yesterday and immediately thought - how stinking cute!!! Love it! Love these!!! What a fun idea! So fun, what a great idea! Ooh I love this simple idea! Looks like I'll be making cookies this weekend! 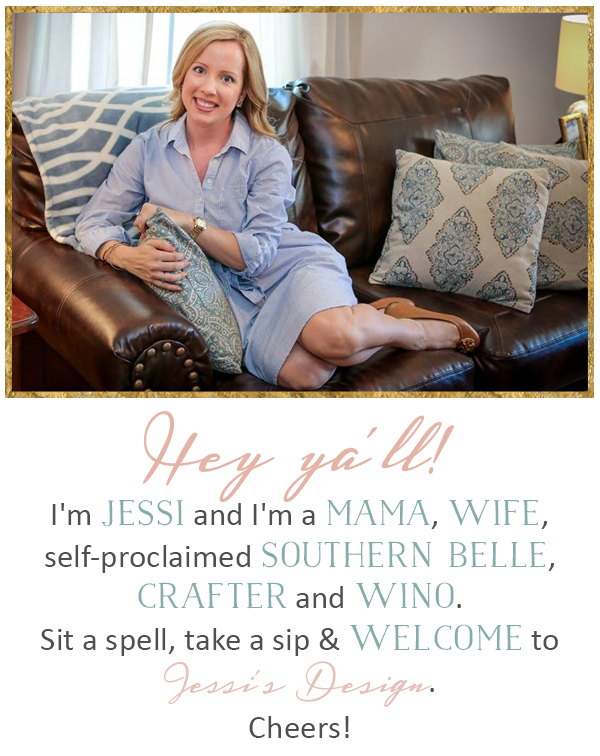 so fun - what a great idea! These are so stinkin' cute!! !